Call out fees for non contract customers start at £50, this covers the 1st hour of the engineers time and advice will be given as to any necessary repairs required. If the repair is conducted within the 1st hour then the only extra payment will be for parts needed to complete the repair. Radiators are normally reliable and regular inspections should be made to identify rust around joints, welds and valves. Regular servicing and the use of a cleaning and flushing solution will extend the life of your system. Blocked radiators will reduce the efficiency of your central heating system and lead to expensive replacement and repairs. 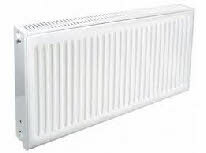 Radiators come in different sizes and prices, and blocked radiators requiring a complete system drain down and flushing can in some instances be replaced more economically by a new radiator. Our engineers can supply the appropriate advice when in attendance. Radiator valves will corrode over time and leak water onto the flooring. Regular inspections of your radiators will prevent the ruination of carpets and other flooring etc. The changing of a radiator valve may appear to be inexpensive but in most cases will require a drain down which obviously takes time. A normal drain down and refill can take up to 2 hours, incurring up to £70 in labour charges. Heating pumps lay at the heart of any central heating system and without its pump then hot water is not being circulated through your system. A defective pump may also be the cause of your central heating boiler failing to start. Again pumps come in many guises and makes, and the price of any individual pump can range from £60 to £200. You can also expect a fitting time of up to 1 hours which will be added to the pump price, therefore the likely labour charges would be £45. 2 and 3 way valves are normally located above the central heating pump in traditional gravity fed heating systems. They can also be found in other types of heating systems. The most common diagnosis of a faulty valve is when the central heating remains on constant even though the clock setting says otherwise.